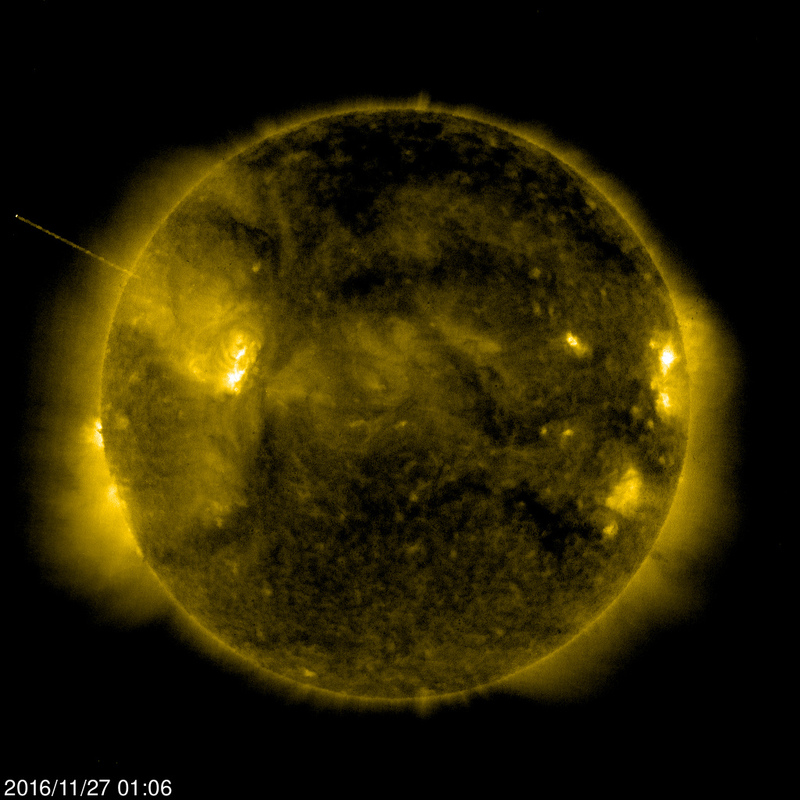 A massive unidentified flying object (UFO) was found near the Sun in one of the images captured by NASA’s Solar and Heliospheric Observatory (SOHO) mission and according to UFO enthusiasts, it seems that the UFO is feeding off Sun’s energy. The UFO was spotted by YouTuber Streetcap1 in the image located here. The YouTuber points out that UFO is of a different color from that of our Sun and this indicates that it is a foreign body and isn’t made up of plasma from the Sun or hasn’t been shot out from the Sun. Further, the shape of the UFO is also different and is connected to the Sun through a ‘Line’. This, the YouTuber points out, is interesting and questions the possibility of Plasma SUN Energy Theory. Self proclaimed UFOlogist and alien expert Scott C Waring of UFOSightingsDaily says that the UFO must be using Sun’s energy to fuel itself or recharge it in some way. “Notice that the UFO is a glowing white, but the suns plasma is a yellow. This tells us the craft is made from a different material than the suns surface”, he notes. Just two days after the above story broke, there were multiple UFOs that were spotted near the Sun. The said UFOs were spotted by Waring in this image and according to the alien enthusiast after he enlarged this particular image, he found some UFOs in the photo. He adds that UFOs in each photo are different because the sun is rotating, and there are a lot of moon size and earth size UFOs around our sun.